Hip, cool and swanky city hotels are on the rise matching the spending power and lifestyles of young professionals and business travellers. The business hotel scene in Kuala Lumpur (KL) has enough options to satisfy the busy traveler, from the luxurious Ritz Carlton to the swanky Traders KL. And for many years, the Le Meridien and Hilton KL dominated the scene in KL Sentral, the transportation hub of the city. Not until recently when Aloft KL made its epic entrance. Seamless check-ins, ipod docks, central phone charging stations, grab & go snack cafes, a virtual concierge, and a 24/7 gym is fitting for the urban dweller on holiday in another city. Aloft KL embodies a lifestyle that gives his guests the comforts of home with the sophistication of a highly trendy atmosphere. 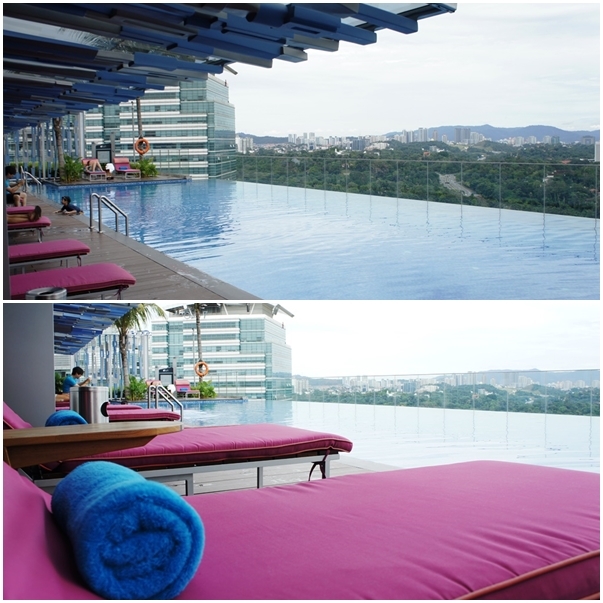 Within walking distance to KL Sentral, Aloft KL picked an ideal spot as a base. It was no wonder the hotel lobby was abuzz when I checked-in on a weekday afternoon. Professionals in sleek business attire, couples in their late 20s and 30s and small families made the crowd. 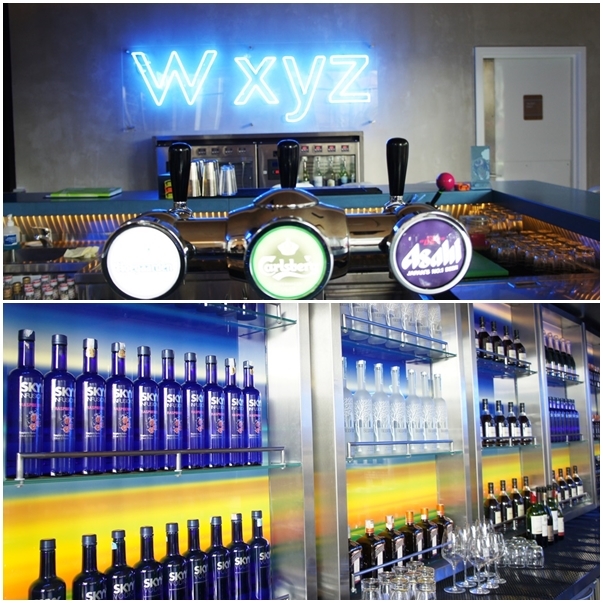 Check-in was literally seamless as I was ushered to W xyz lounge for a quick drink while they processed my details. 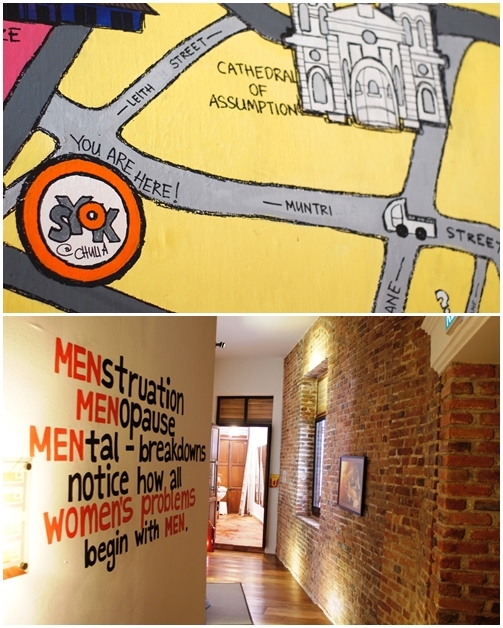 I was immediately drawn to animated cartoon drawings of personalities such as Elvis, Ronald MacDonald, John Lennon & Men in Black plastered on the wall. 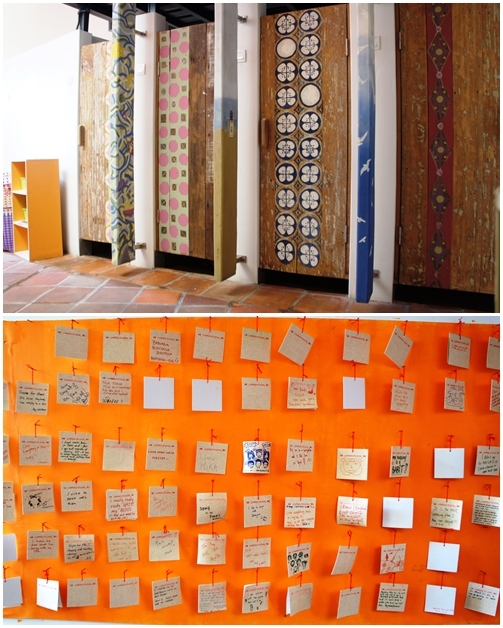 These lively paintings are interpretations and works of young and emerging Malaysian artists. With the same vision of promoting the local arts scene, local indie bands jam at W xyz every week. 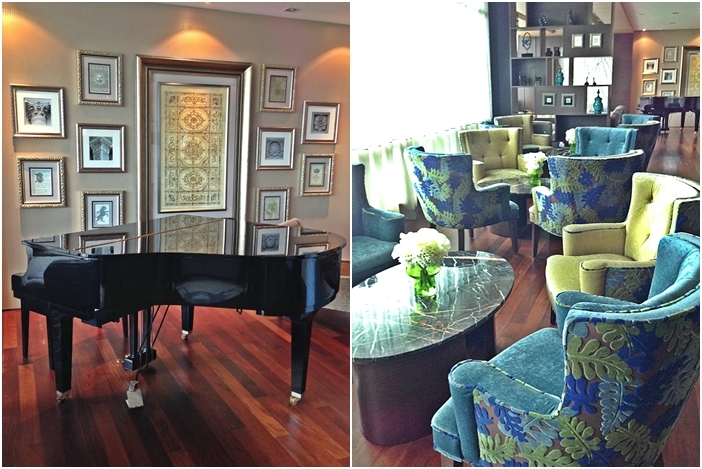 The contemporary minimalist décor of the city hotel are the best conditions for a relaxing stay in Kuala Lumpur. 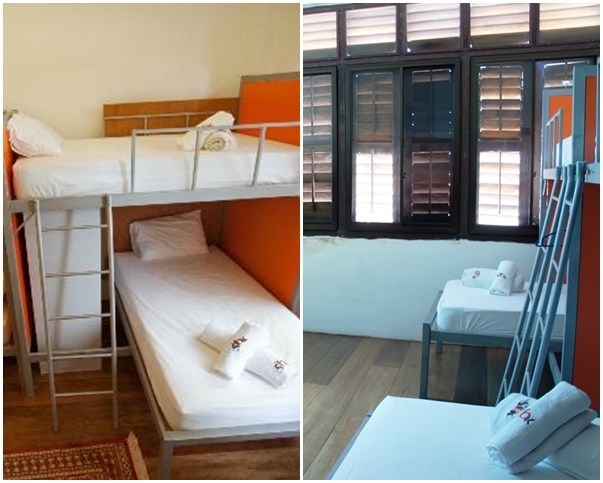 The room comes with individually-adjustable air conditioning, flat-screen TV, free WIFI and an array of designer teas and coffee. 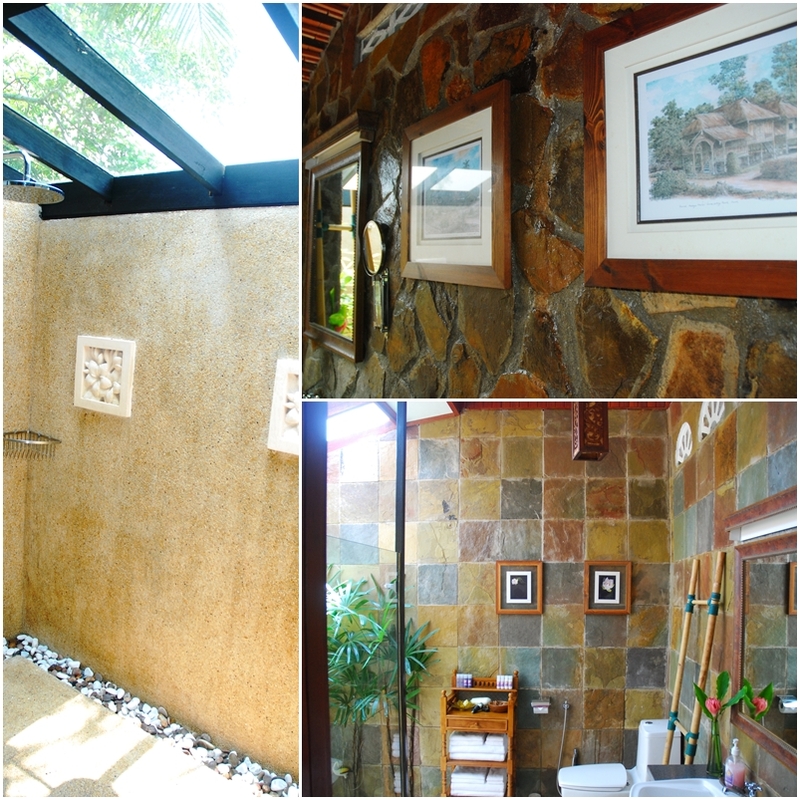 The bathrooms are fitted with rain showers and walled-in body wash and shampoo dispensers. The hallmark of the room is the view, with top-to-toe windows that show off the expansive view of the city’s skyline giving guests a glimpse of the city’s hubbub. 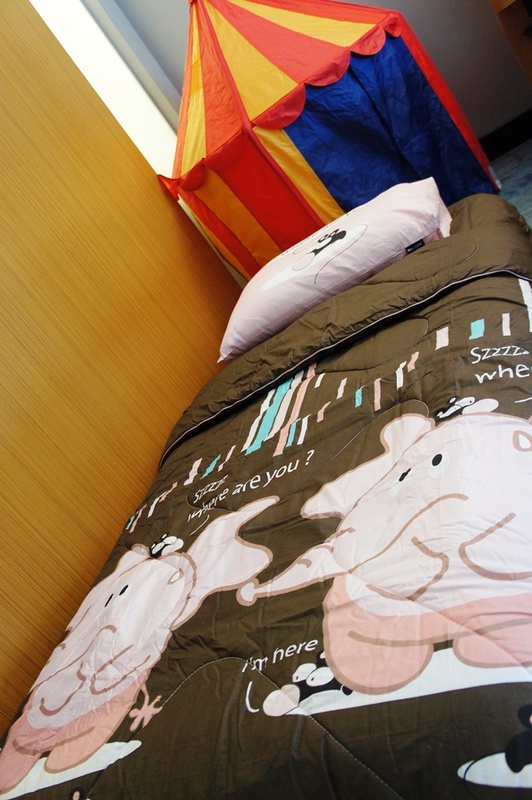 Camp Aloft adds a friendly touch for couples with children, a colourful carnival tent and air mattress for the young. 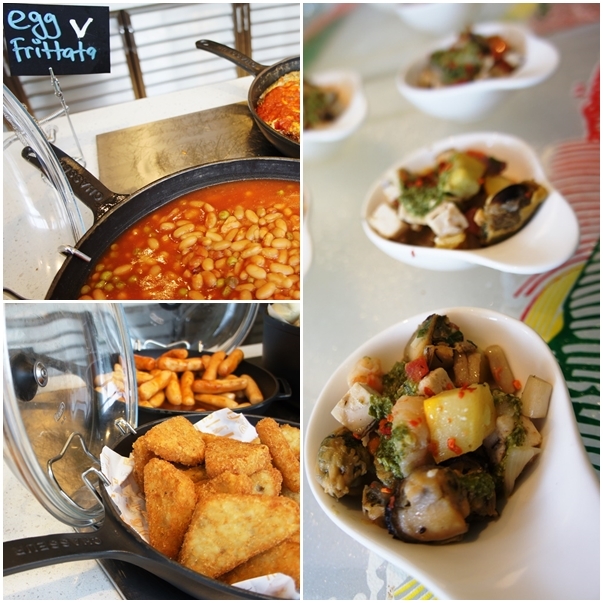 A wide spread of local and European flavours, breakfast is an exciting affair at Nook. Huge syrup-filled syringes, rainbow lolly cakes, bottled marshmallows and trays of cookies keep the buffet spread light and refreshing. A dozen and more choices to choose from, variety is not lacking – local flavours like nasi lemak, beef rendang, sambal sotong, Sarawak laksa and dim sum are a must. 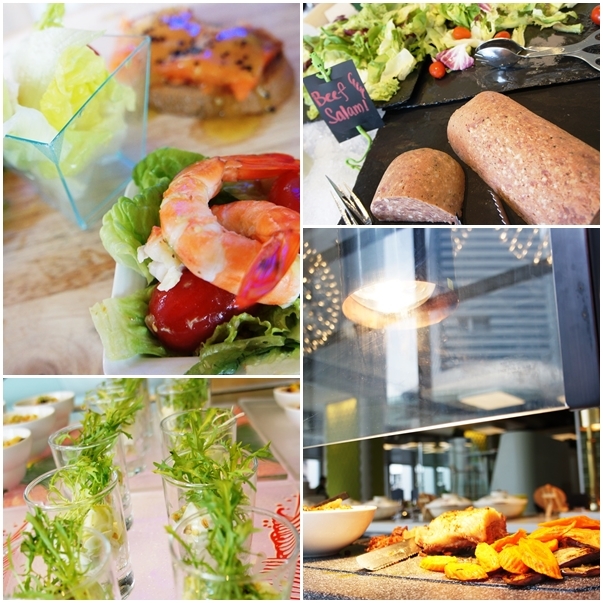 Accompanied by fusion picks from the fresh salad deck with an array of cold cuts and cheese, juicy roast beef carving station, eggs from the classic egg-station and heavy skillets filled with hash browns, bangers and mash, breakfast soon becomes brunch. Getting around is a breeze – Sooka Sentral, KLCC, Bukit Bintang are all within easy reach of the hotel or a ride away by train from KL Sentral located just opposite the hotel. Connectivity – Fast free WIFI for all, yes even if you are lounging in the lobby. 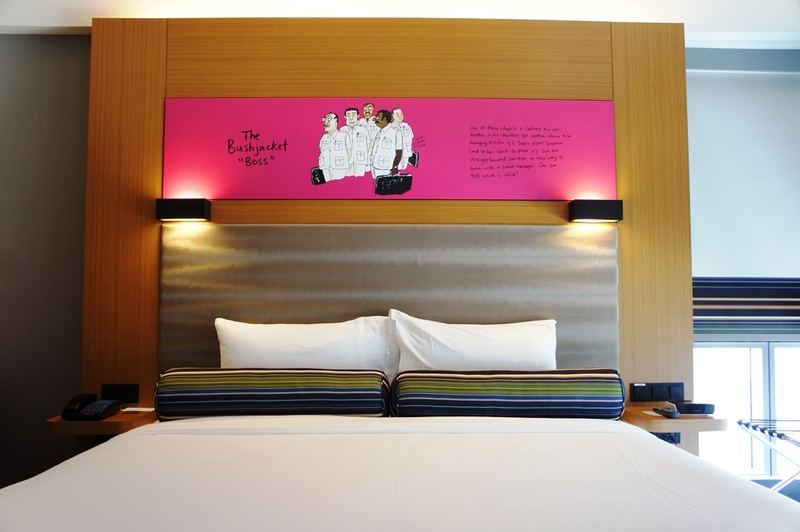 Affordability – With rooms priced from RM300 / USD90, almost everyone can have a trendy stay. Open- decked Mai Bar – Beanbags for lounging, free bubblies for ladies on Thursday and an electric view of KL by night are three great reasons to grab a drink. Your abs don’t need to go on holiday – With a gym that opens 24/7, your body can recharge with adrenaline anytime. Speedy-Gonzalez lifts – The lifts match the fast-paced city life. With over 30 floors and a never-ending string of guests, fast lifts are a great convenience. 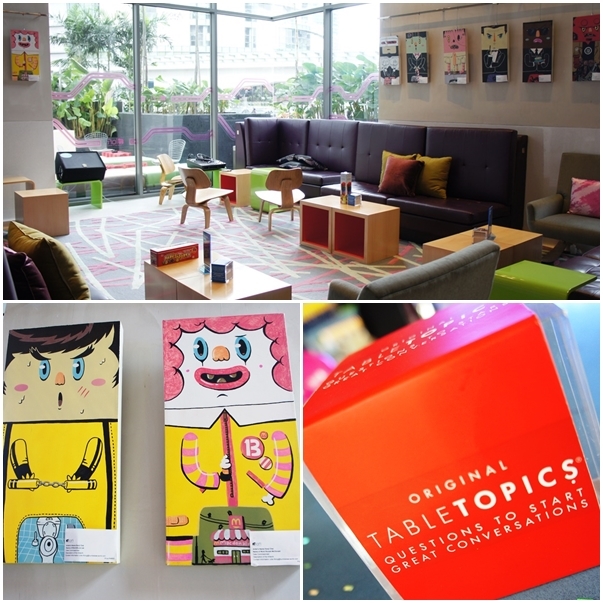 Freebies – refresh before heading out with free cordial shots at the re:mix lounge. Being an urban dweller myself, I’d have to say that I’ve been converted by this chain of lifestyle hotels. 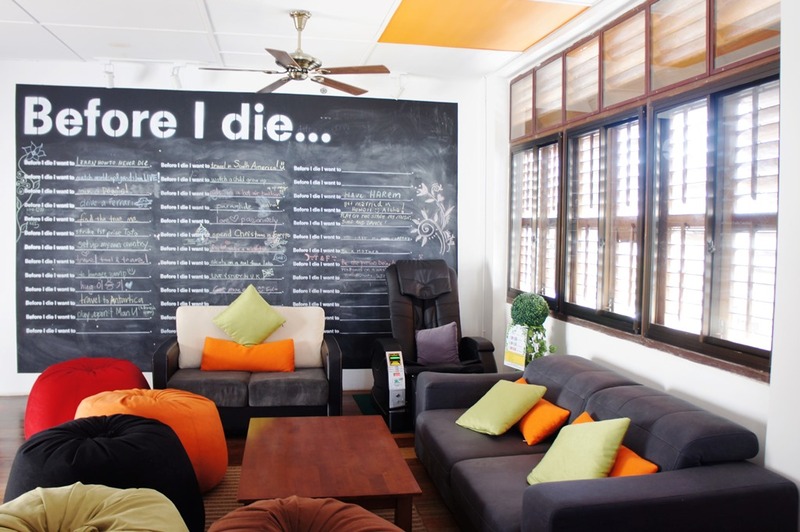 Ultimately, what I love is Aloft KL’s vision to grow young talent. 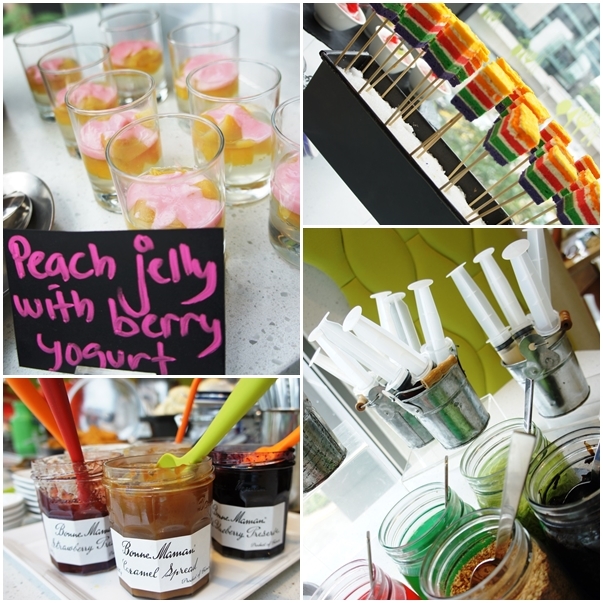 From front desk to housekeeping, the Aloft staff, called ‘talents’ are young, vibrant, energetic youth and they are, the very essence that keep the hotel hip, cool, and swanky. 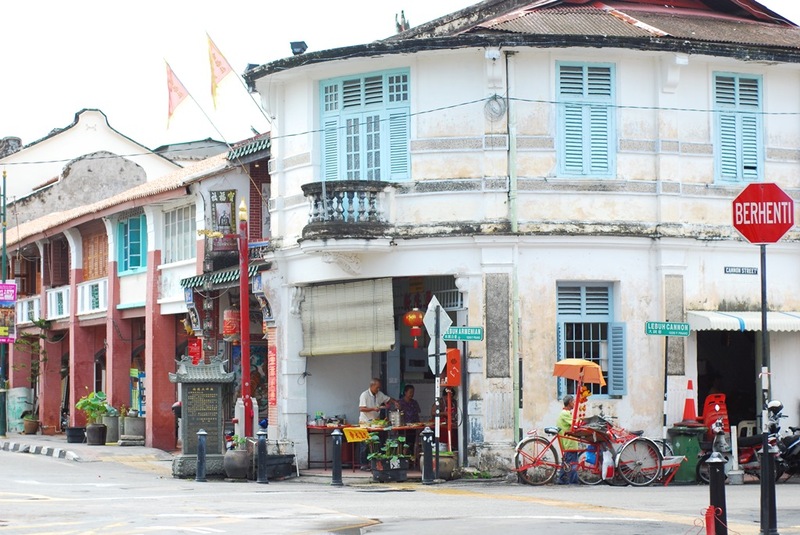 Georgetown, Penang’s vibrant capital is a living legacy of stories told and untold. Since its recognition as a UNESCO World Heritage Site in 2008, Georgetown has undergone a major facelift with delicate and meticulous precision in an effort to preserve its heritage and old charm. 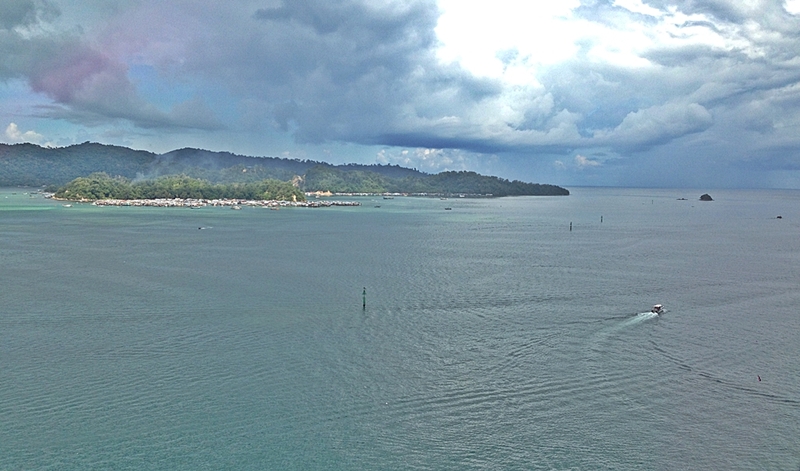 I returned for a visit after many years eager to explore the new Georgetown as opposed to just touring Penang’s Ferringhi beach front as a holiday-goer in my earlier teenage years. The town is lined with idiosyncratic shop lots, narrow lanes, old-fashioned colonial mansions, ornate temples and schools with washed-out walls. I zigged-zagged in and out of five foot ways (pathways between the shop lots and the road) dodging café tables & chairs, cyclist on the road and the occasional cobbler or keymaker to get some respite from the Malaysian heat. 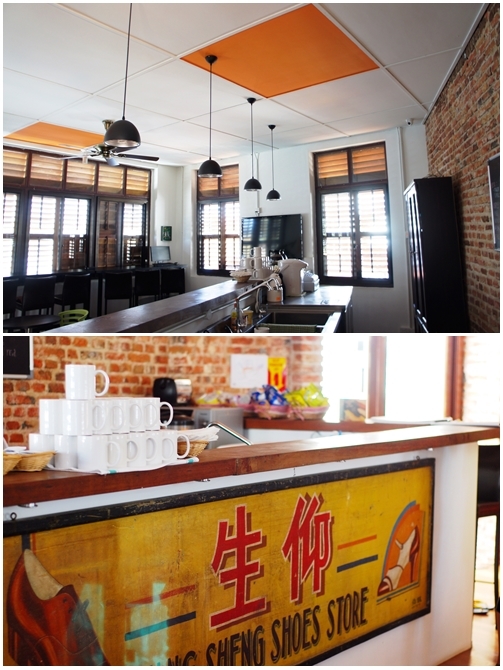 Coffee shops beckon me to try Penang’s delicious meals, new cafes tempt me for a sit down while watching the world pass by and museums are aplenty, some fascinating and some just for the sake of it. 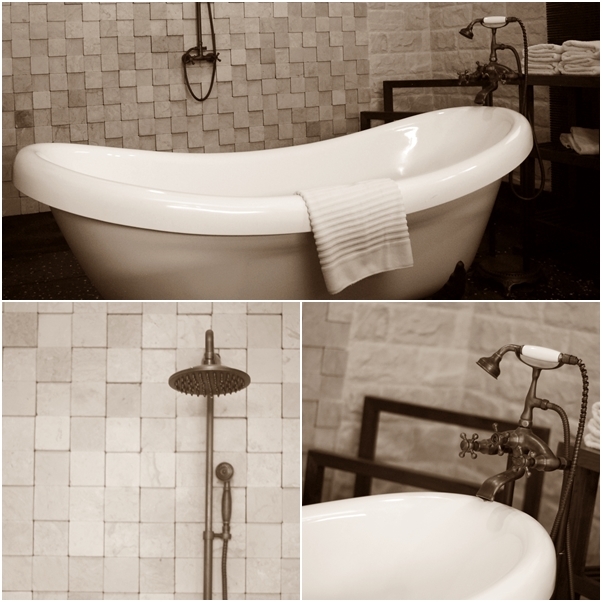 What I found most apparent was the numerous independent boutique hotels that have sprouted up. 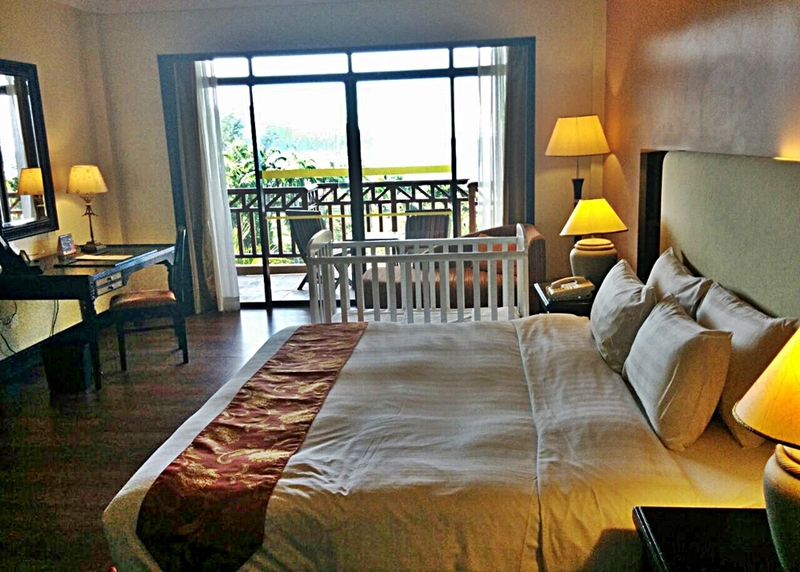 Spoilt for choice, Georgetown offers a hotchpotch of accommodation options for its travellers. From luxury boutique outfits dotted all over town to budget backpackers crammed on Chulia Street; you pay what you can afford and pick what matches your needs. 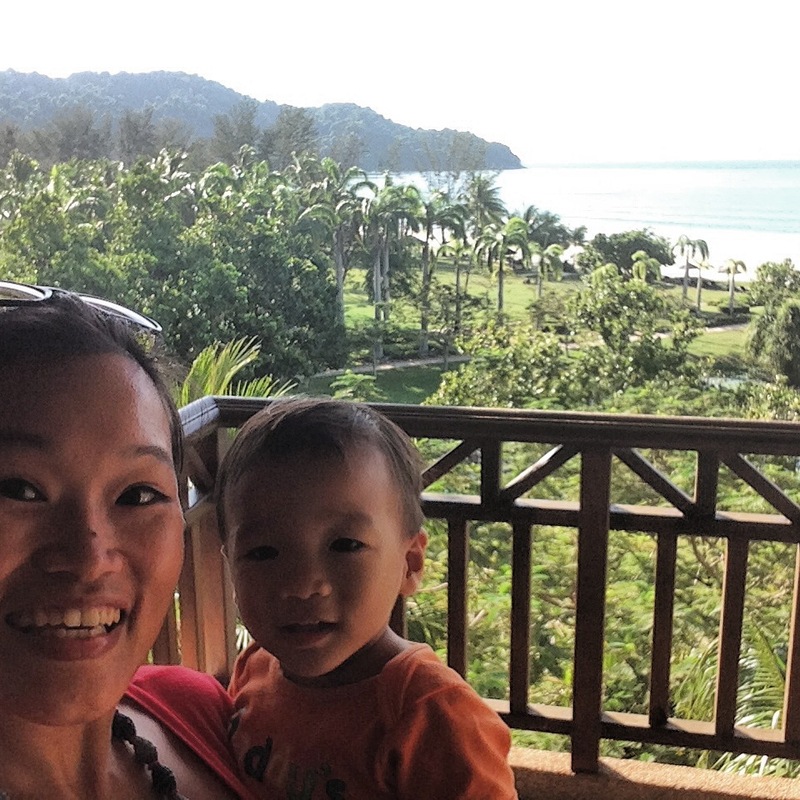 Since I was traveling with my husband and 5-month old baby, I needed a place that was family / baby-friendly. 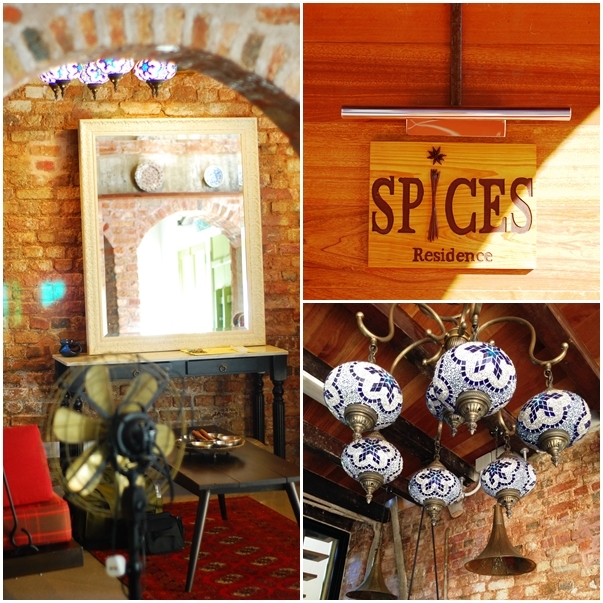 I stumbled on Spices Residence, a tastefully refurbished set of 4 shop lots tucked in Lorong Lumut an unassuming lane, and a mere stone’s throw away from the hustle and bustle of Armenian and Kimberly Street. Set directly next to the Acheen Street Mosque, the set of shop lots dates back to the 1800s and was once a layover for pilgrims’ enroute to Mekkah for the Haj. True to its label, ‘residence’, Spices was restored and designed to ensure that travellers have a homely stay while on holiday. Stepping into the living area, one immediately feels at home with a large plush swinging sofa hanging suspended slightly off the ground, inviting you for a swing. Warm decadent stained glass lamps hang from the high beamed ceiling bouncing off light from the raw brick walls setting the place aglow. Guests are even encouraged to leave their shoes at the entrance while walking barefoot in the residence, just like how we do at home. 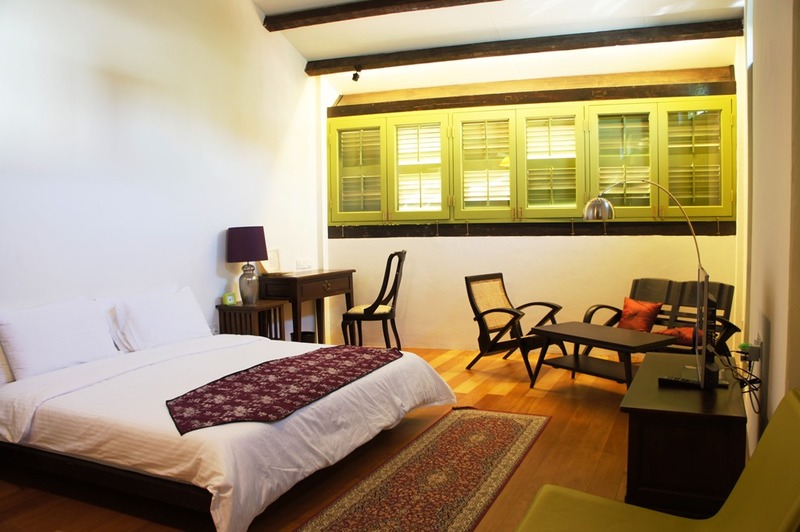 Spices Residence is perfect for couples and families offering simple yet tastefully designed double rooms and loft rooms complete with ensuites. 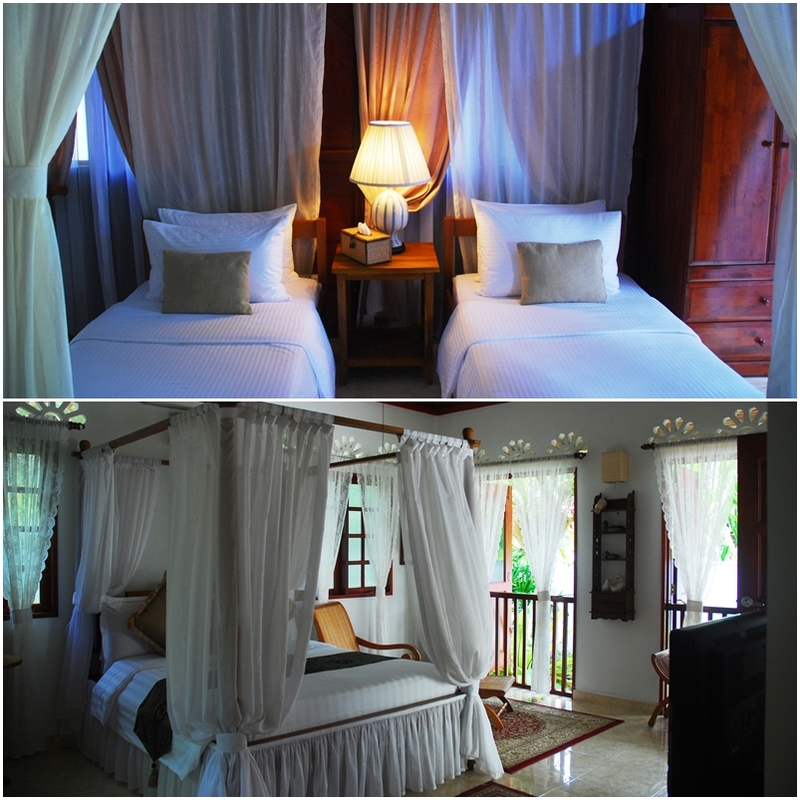 We stayed in the loft room, a split level unit with a day bed and a king size bed with a small balcony overlooking mosque’s open courtyard. It has all the basic amenities you need and no additional unnecessary frills. Still the best room yet, is the family room that fits up to 4 adults, a large split level unit on the first floor with a spacious sitting area. 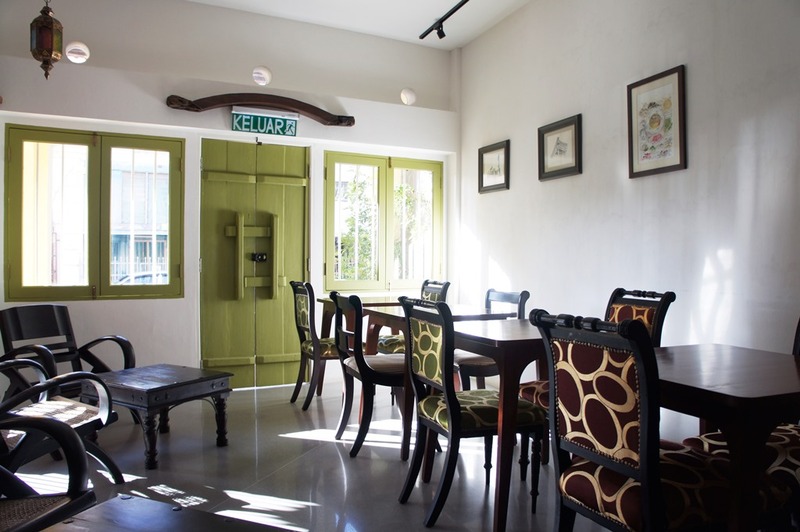 The restored bright green louvred windows and modern fittings make a perfect combination of old and new. An interesting feature in the residence is the Bodhi tree with its roots and veiny bark engraved on the wall outside the courtyard. The living tree is perhaps the oldest asset within the residence. 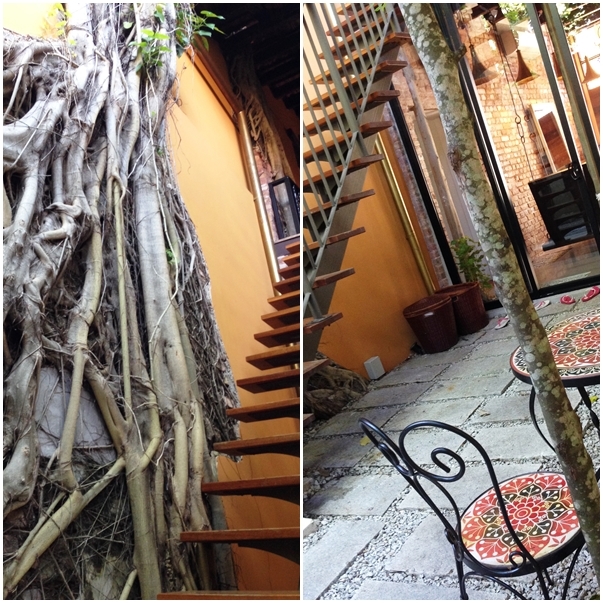 Its leaves still fall into the open narrow courtyard grounds while providing shade for the tiny sanctuary. When rain comes, the Bodhi tree reminds its guests of her existence, with light drips flowing gently through a crack in the living area. On the ground floor is a cosy enclave with an oversized sofa and fluffy pillows in blue and green hues inviting you to sink in. 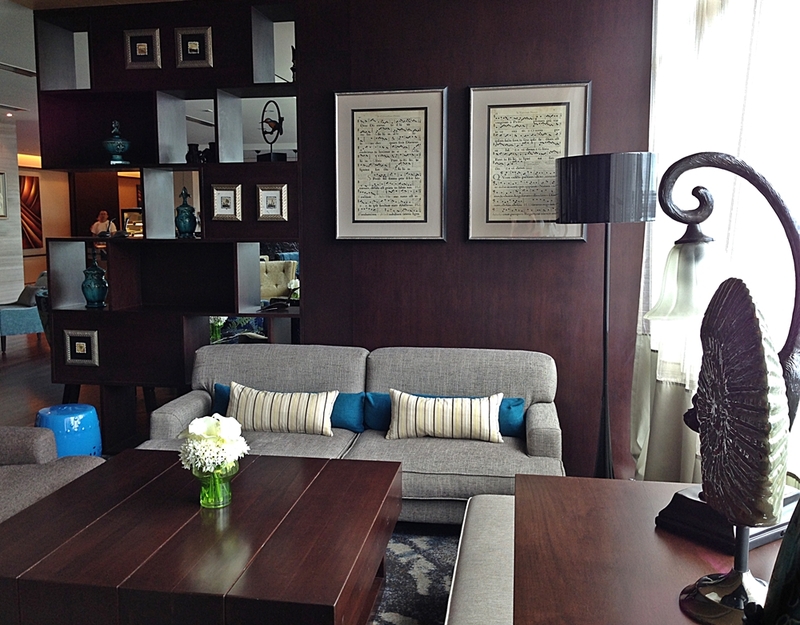 A small library of books, magazines and board games are made available to all guests. Taking the open staircase in the courtyard that leads you up to the first floor is the other common area with dashing red and orange furniture taking on a slight Mediterranean feel. This common area transforms into a romantic rendezvous upon sun down as the flickering of candles illuminate the hall. Still my favourite space is the dining area, as with all home, this is where good food and conversation collide. 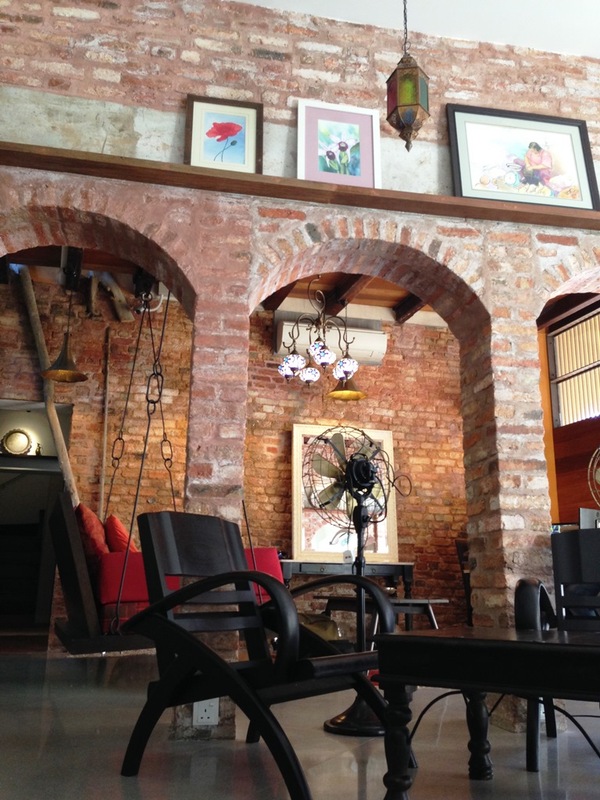 Beyond the arched brick frames next to the living area, is the dining area. 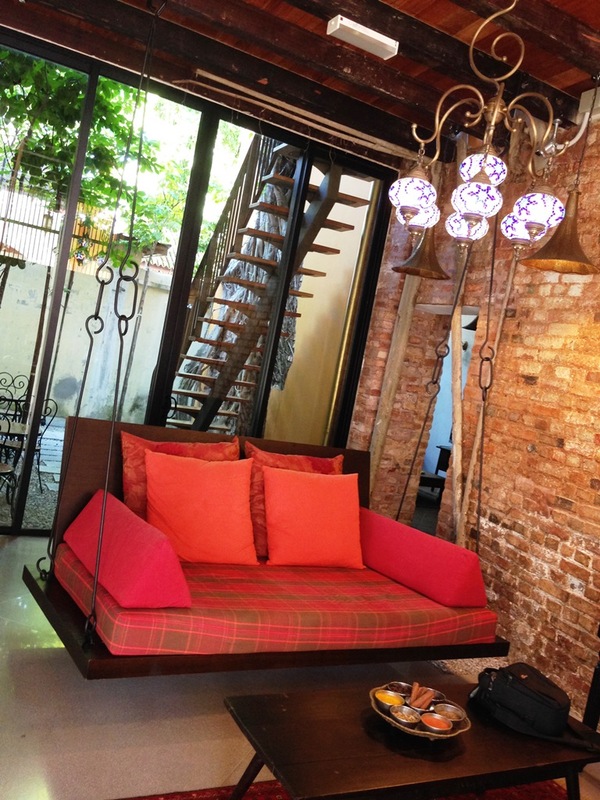 A snug space lined with cushion chairs and acrylic-stained tables. 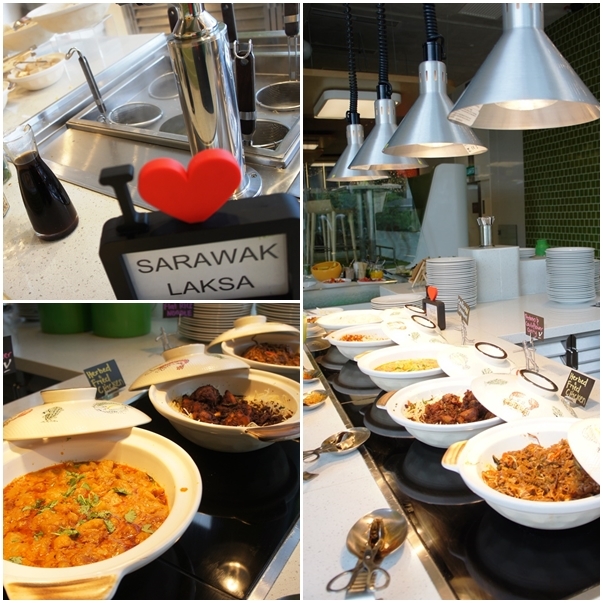 Breakfast is served here with a small selection of Penang bites such as roti canai and mee goreng and the usual western selection of cold cuts, sausages and cheese. Eggs are made upon requests and I was delighted to discover that the 3-man team at Spices are all seasoned cooks. I’ve found a crib in the ever thriving heritage town, a place I’d come back to simply because it really feels like home, a safe haven while on holiday. But more than that, Spices extends a kind of hospitality unlike any other and I’m delighted to have found new friends in our friendly hosts, Malcolm, Celeste and Fareh. Hop onto the Spices Residence’s website for more information. I’d be back! 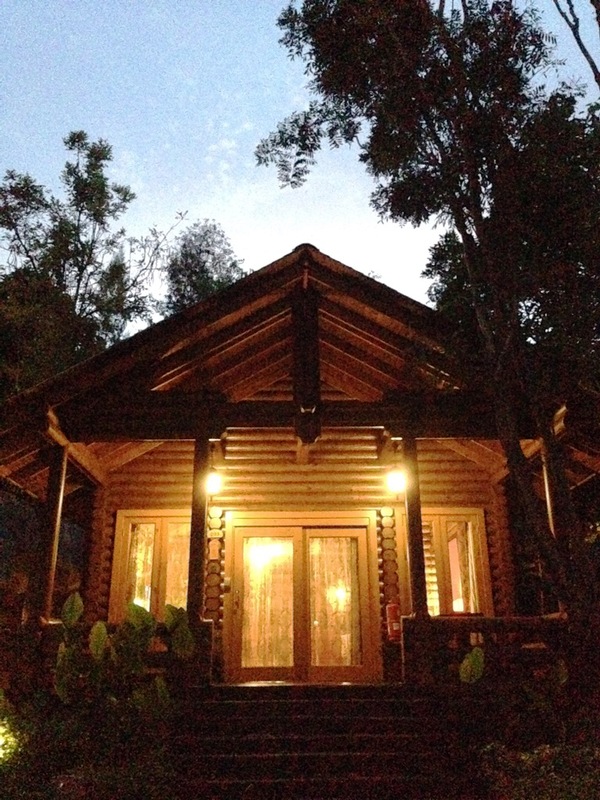 Janda Baik is known to be one of the more popular natural getaways for local KL and PJ urbanites. With umpteen crisscrossing streams flowing through the area, it is a popular site for weekend picnickers and small corporate group meetings. Over the recent years, Janda Baik has soared in popularity with new signposts emerging along the winding road leading into the area. 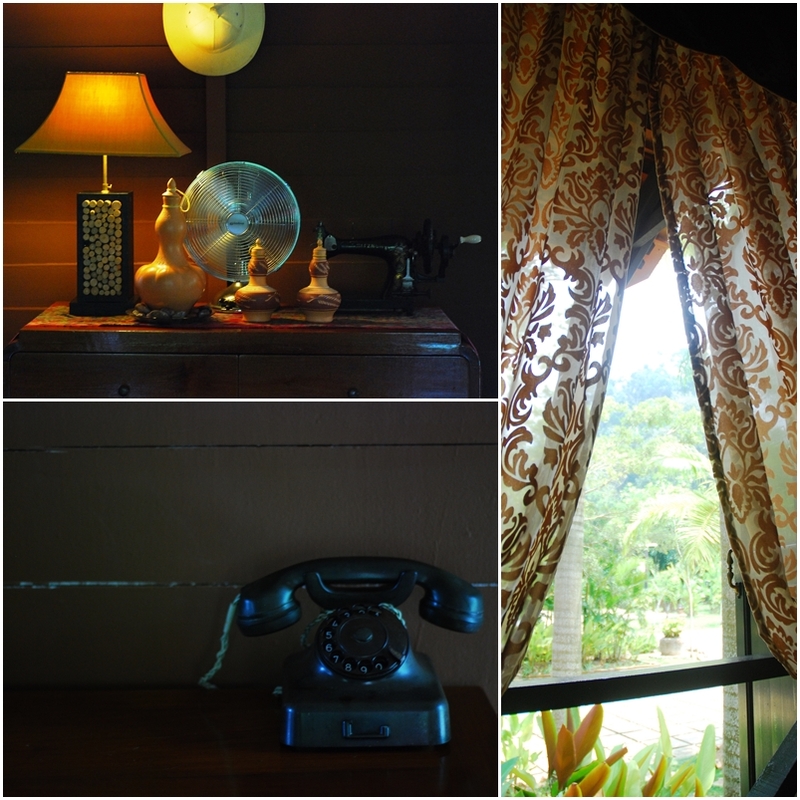 From kampung style homestays to conference-type resorts, Janda Baik offers a variety of lodging options. 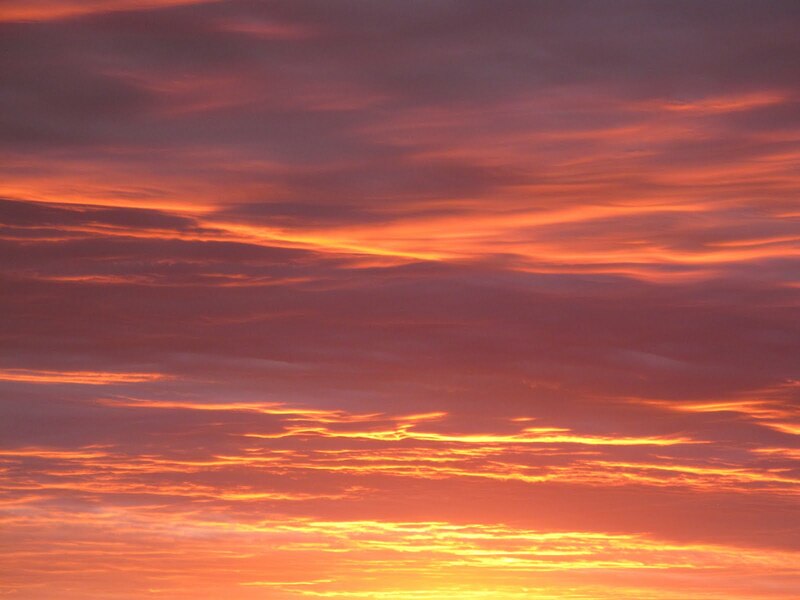 However, the option of private estates is rare, especially if you are looking for pure exclusivity and excellent hospitality. 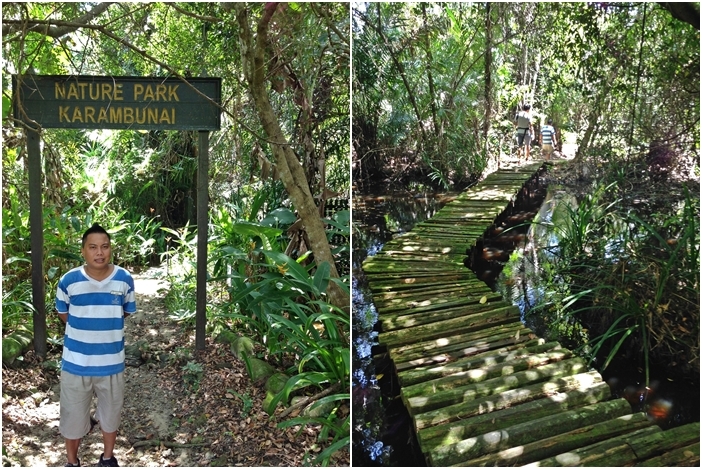 Aman Rimba was an excellent find. 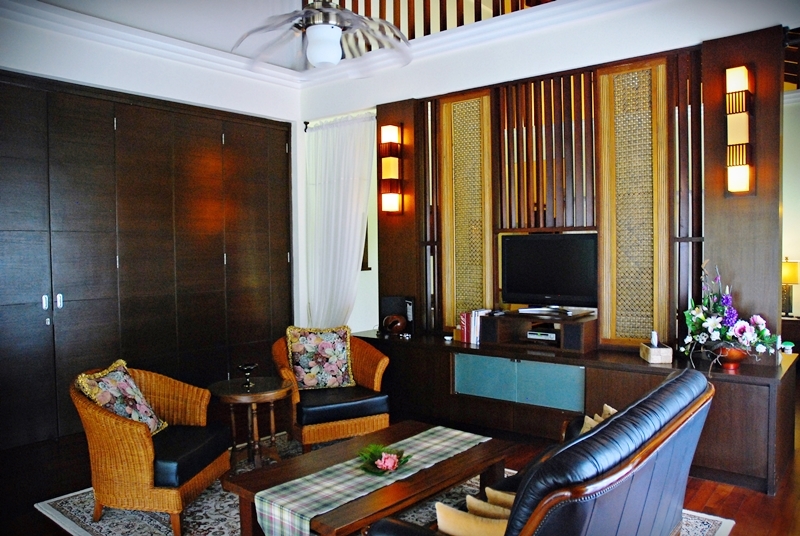 Situated within Kampung Janda Baik, this three acre private estate houses six villas, four of which embodies the Malay kampung (village) style built up. 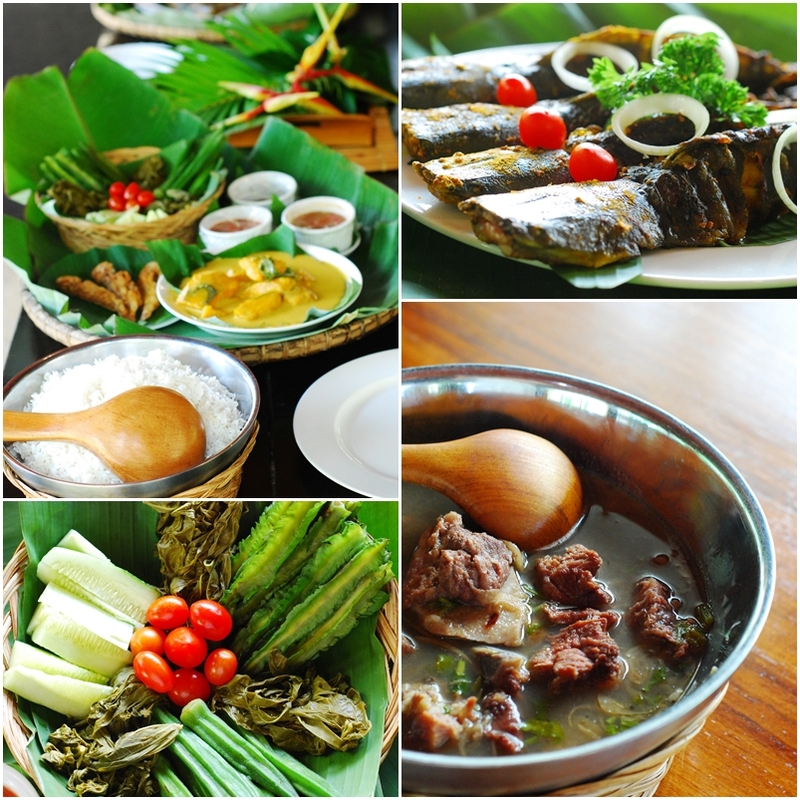 The six villas, Sireh (betel), Serai (lemongrass), Kantan (ginger flower), Halia (Ginger) and Kunyit (Tumeric) named after Malaysian typical well-loved herbs is able to comfortably accommodate up to 25 people, ideal for small corporate groups or large family retreats. 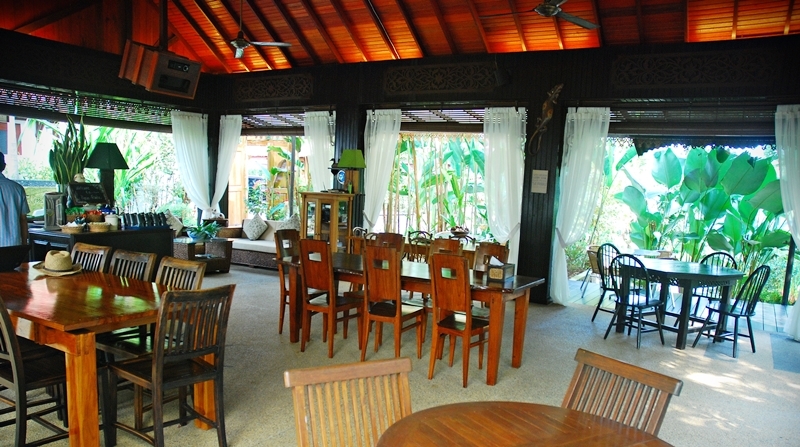 I made my way to Aman Rimba on a weekday afternoon in time for lunch. 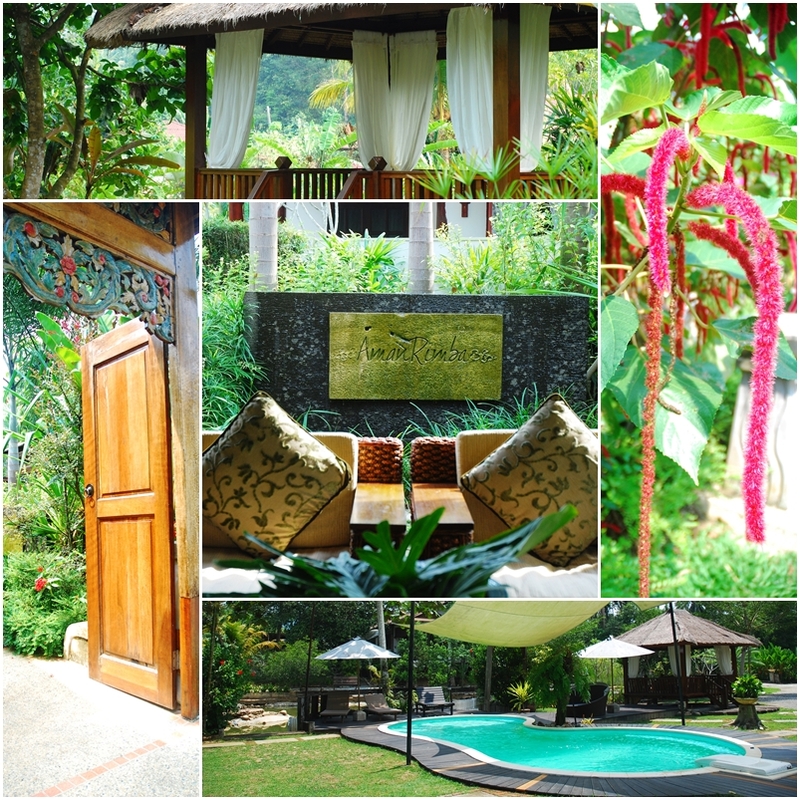 Ashari Shuib, the resort manager greeted me as the sturdy wooden picket door opened into the estate. Cobbled staircase led up to Selasih, an open air pavilion where I was offered a glass of cucumber and lemon house blend. 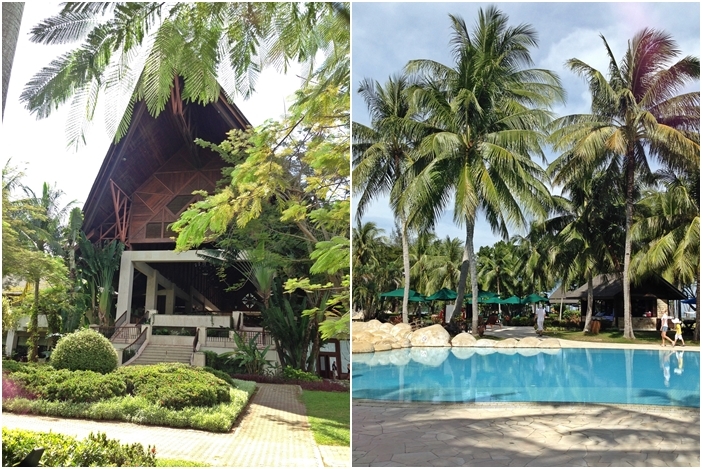 I was immediately drawn to the surrounding garden, an amalgamation of manicured landscaping and rugged kampung lawn. Heliconias, hibiscus, wild orchids, Ixoras and lilies are just a few of the many blooms speckled around the estate. I ventured further into Sireh, the first kampung house built on the estate, as Ashari unravelled the story of how Aman Rimba came about. 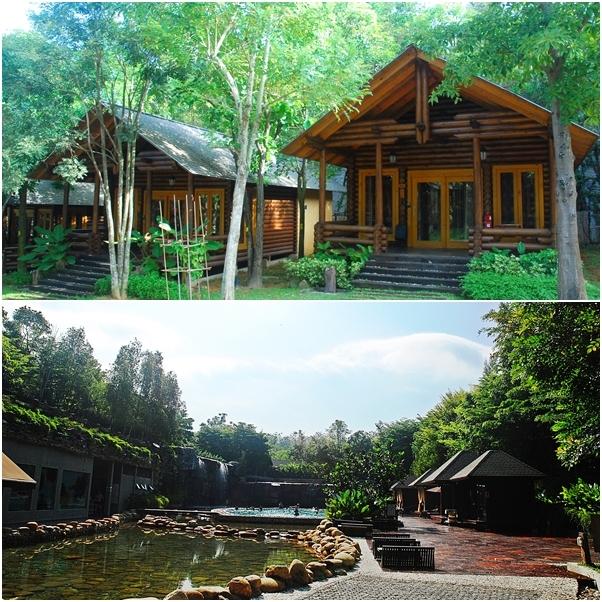 Owned by Sabri Rahman and his wife Wati, Aman Rimba initially started off as a family weekend getaway hideout. “It literally started off with a park table, some chairs and a platform next to the river in front of the resort,” says Ashari. Then Sireh was built and that was the weekend home for Sabri and Wati. 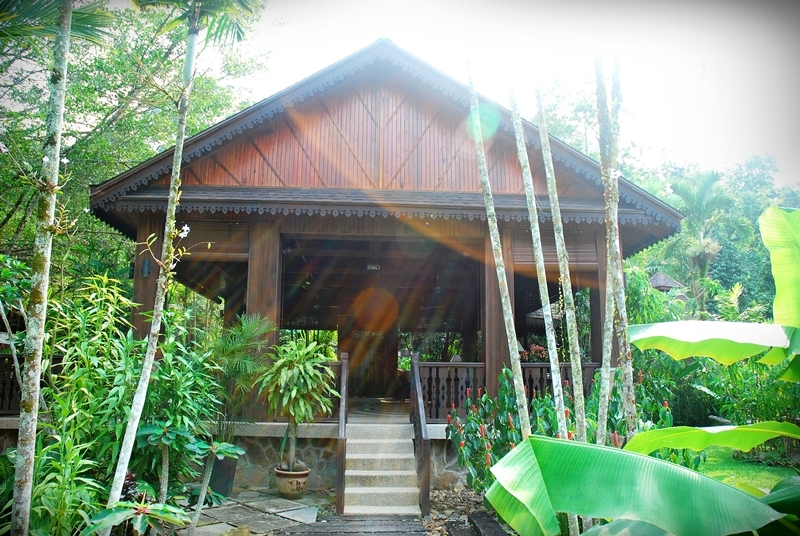 Years went by and the couple received many requests for the place to be rented out and eventually, another kampung house came into being, and then another, and finally in 2009, Aman Rimba was open to the public. 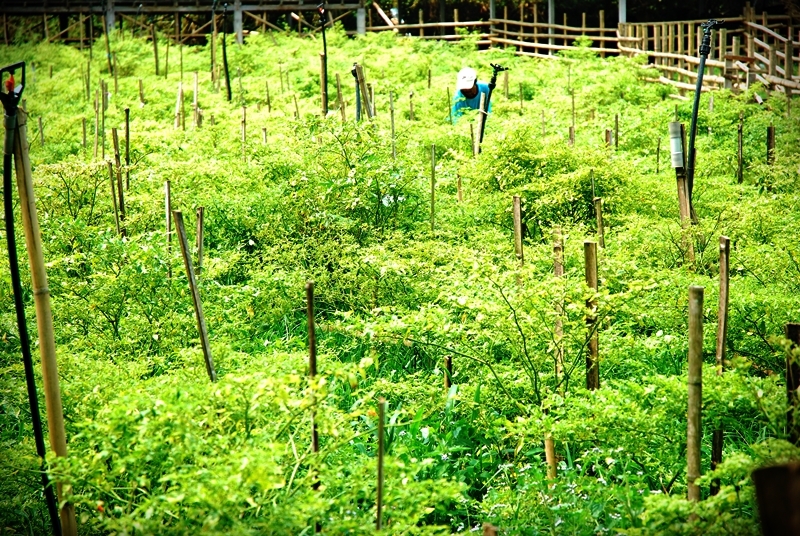 The organic growth of Aman Rimba is one of the secret ingredients of why it has retained its homey feel. Leading up to Sireh, the family home, is a large living room area with comfy plush sofas, a selection of good reads, a coffee table and hand-picked furniture and fixtures dating all the way back to the 1950s. 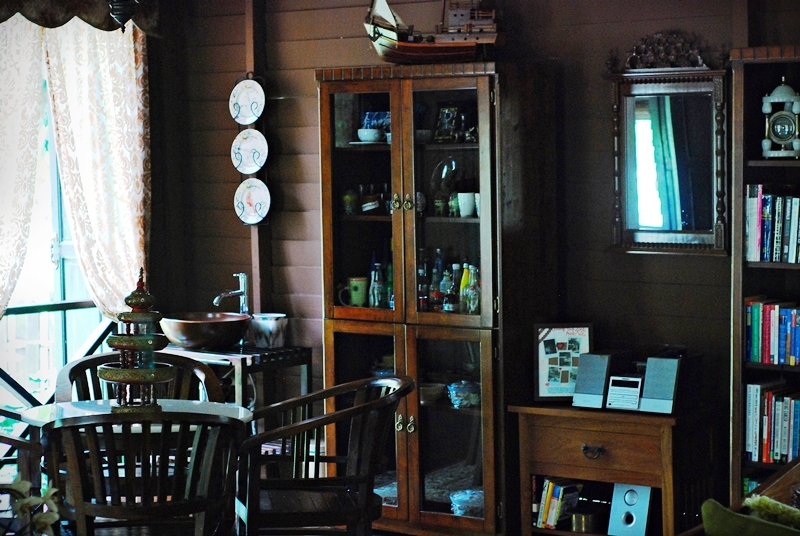 One can imagine the spacious living room used as a family space for tea time chats and children playing congkak, a traditional Malaysian game using marbles. Sireh has only one bedroom with a massive four poster bed drabbed with silky linen cloth and a sizable bathroom with a glass ceiling above the shower area. 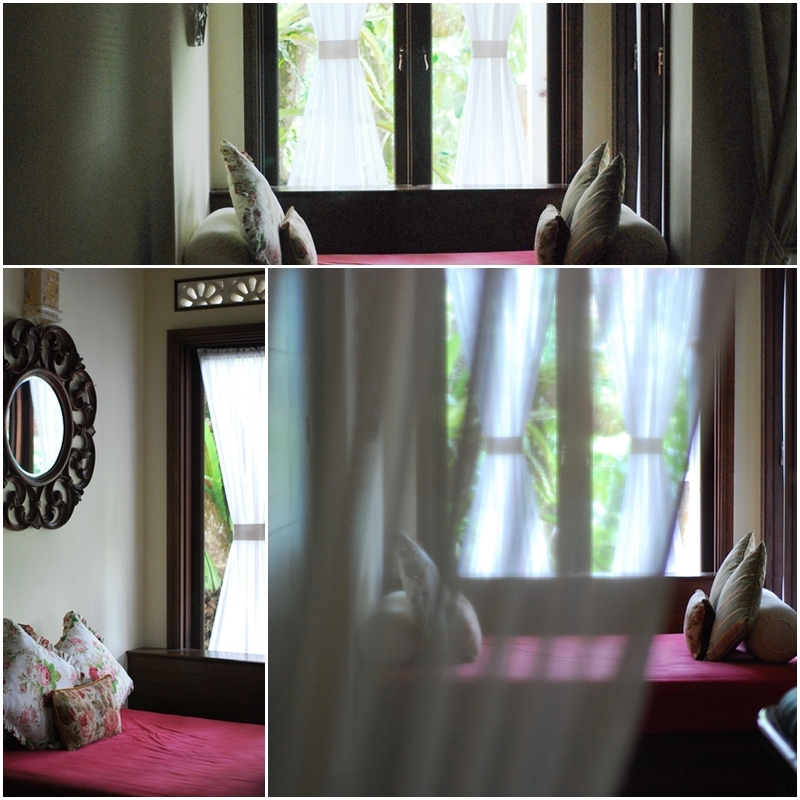 Halia, Kunyit and Serai are slightly modern kampung houses with beautifully crafted wooden door frames leading into the house. There is so much attention to detail when it comes to the interior and exterior design of these houses. 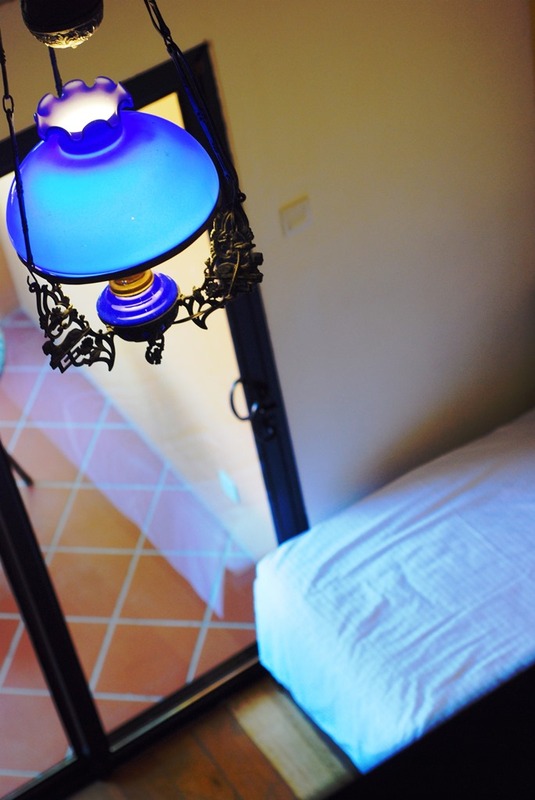 Every tile, sculpture, bed frame and lamp is hand-picked and each kampung house is different aesthetically, although the layout may be similar. 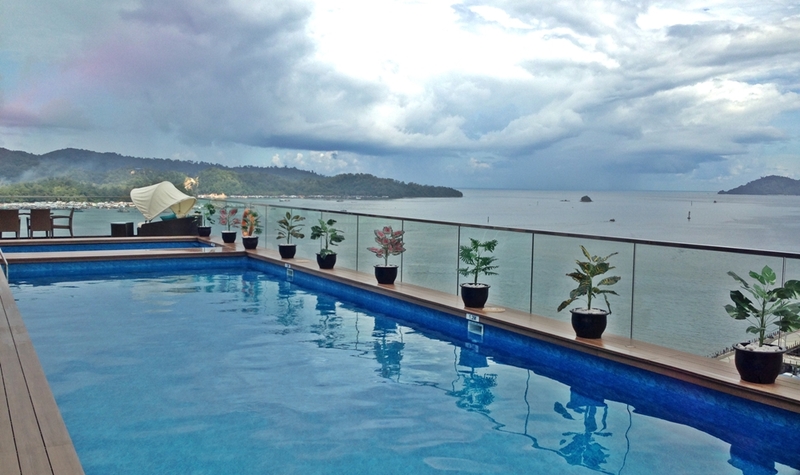 A particular highlight in the estate are the newest units; Kantan I and II, a modern and lux dash to kampung living. Kantan features a grand sense of space with a high timber ceiling living area overlooking a pond with bobbing ducks and black swans. 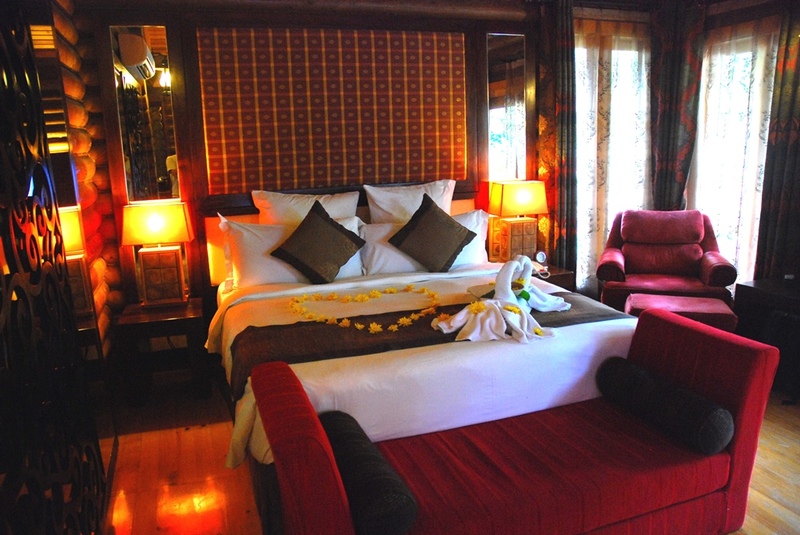 The unit offers modern day comforts such as high definition flat screen tv, air condition, power jet Jacuzzi, semi-open air shower area, a massive four-poster bed, unlimited supply of coffee, tea and milo, and a small day-bed cushioned with plush embroidered pillows ideal for daytime lounging. It does get better… as the tall wooden vertical glass windows open up to an outdoor verandah overlooking the entire estate. 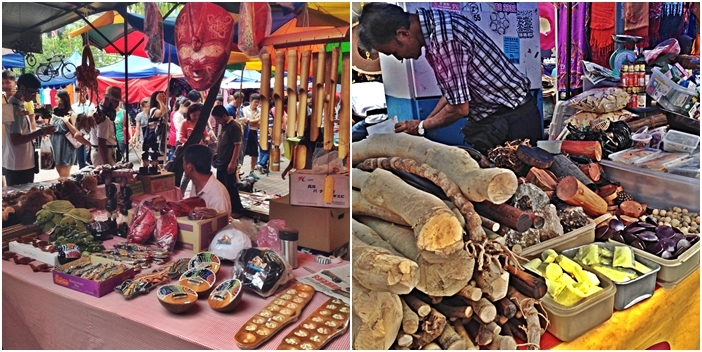 A mere mention of durian after lunch sent Ashari hunting for the king of fruits. Lo and behold, durian pulut (durian served with glutinous rice) was served for tea. 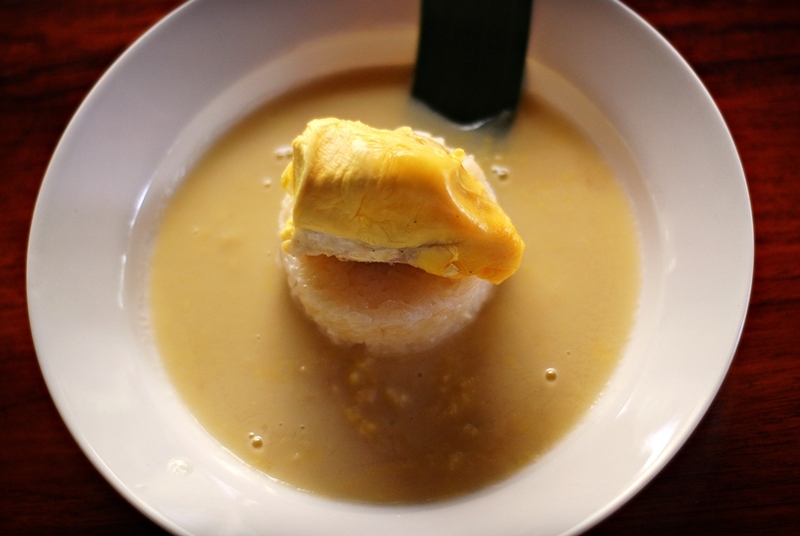 Swimming in a bed of creamy durian santan gravy is block of puffy pulut and golden plump durian. 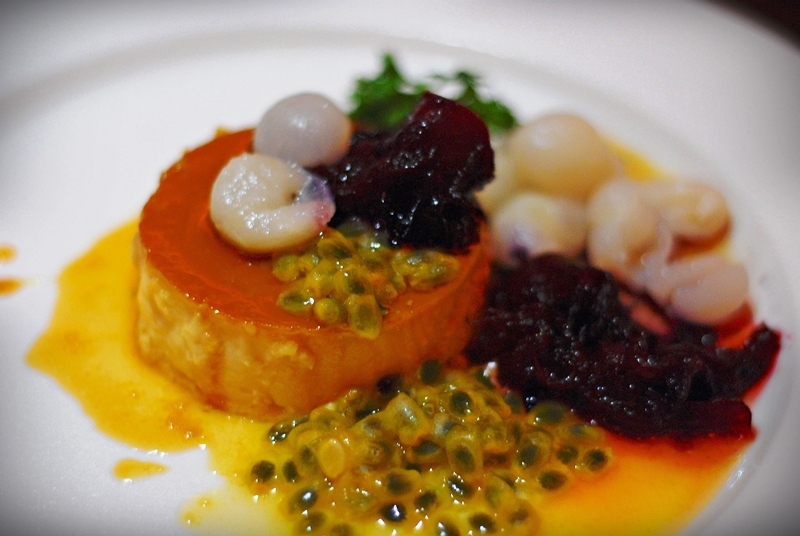 The dish gave new meaning to the king of fruits as the flavours of sweet, salty and decadently pungent merged into a perfect dessert blend. As if there was not enough feasting! Dinner was a huge platter of fresh meats and veggies over a steaming pot of clear broth. After tea, we made our way to the local farmers market in Bukit Tinggi to shop for fresh veggies that will be consumed for dinner. Much to my amazement, the selection was aplenty, with uncommon fresh herbs, veggies and edible flowers to choose from. 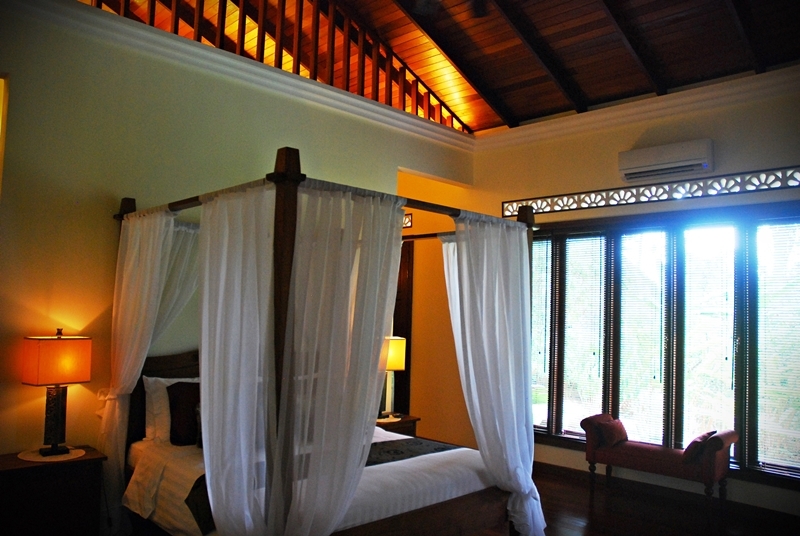 Aman Rimba is designed for families in mind; however it is also ideally suited for corporate groups. With facilities such as a swimming pool, games room, small gazebos sprawled over the estate for small group discussions or quiet contemplation and bicycles for bee lining around the estate, both children and adults will appreciate this place with the exclusivity it promises. 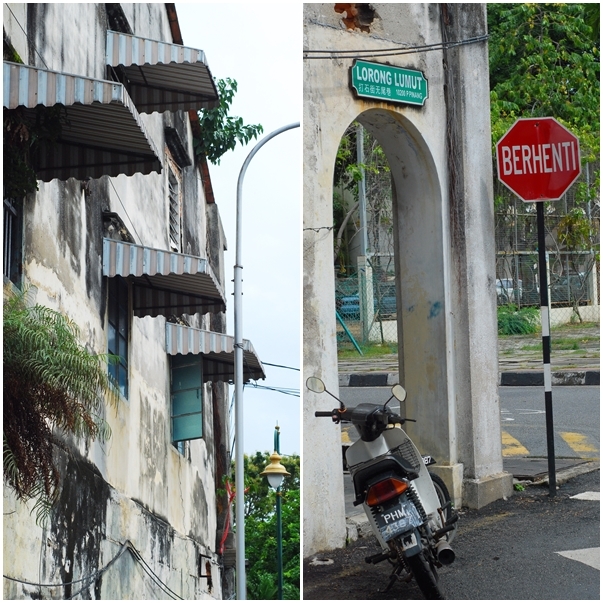 Before I bid farewell, Ashari and I took a walk to Kampung Janda Baik, taking in all that this destination had to offer. Meandering into small gravel dirt lanes, Ashari introduced me to Kampung Janda Baik where wild farms grow uninhibited and cattle roam free. Janda Baik is after all a haven to weekend urbanites, but really, at the heart of it, it is home to local kampung folks – and it is best kept that way. 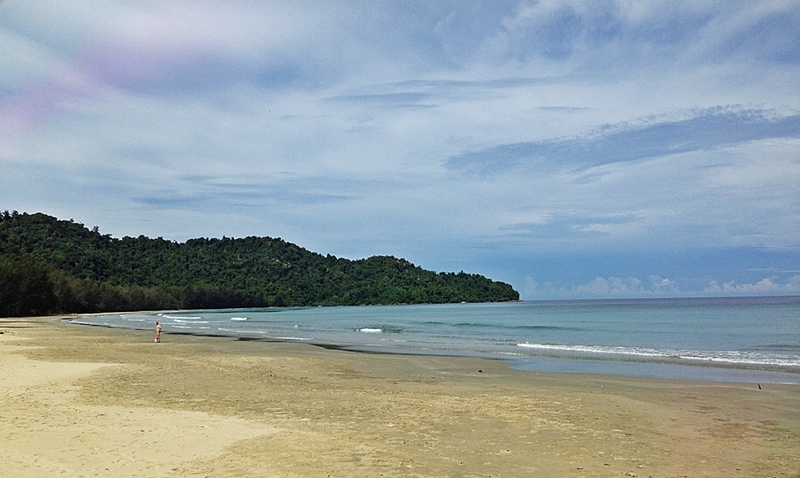 And so, I left Aman Rimba with a lingering memory that will one day lure me back. 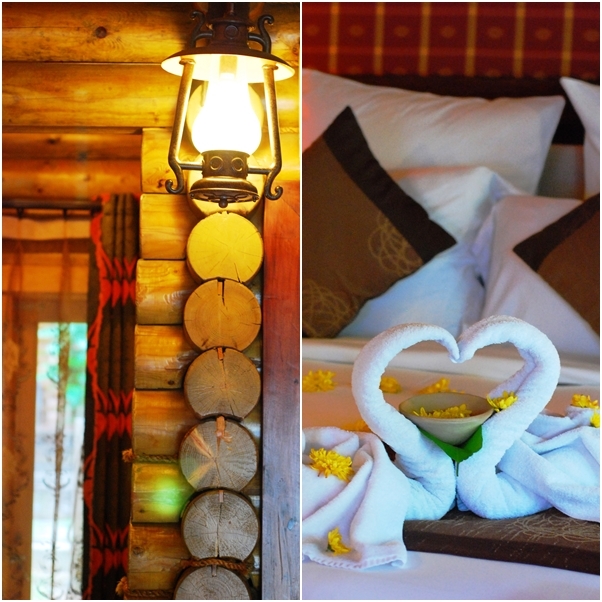 Its authenticity of culture and sincerity in service has left an indelible mark of what a top-class Malaysian retreat can be. And what’s not to like? 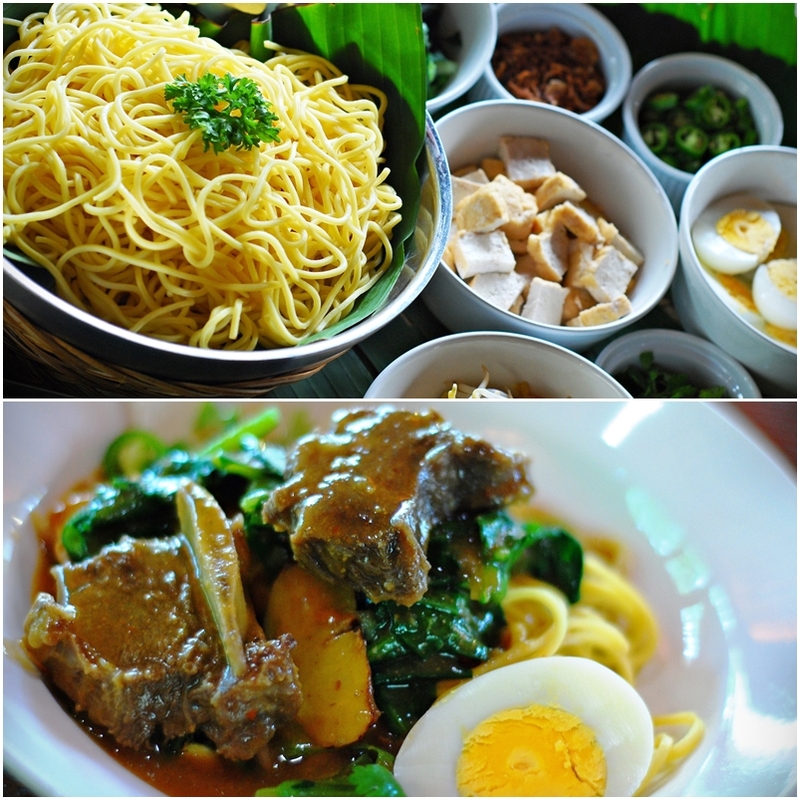 With such good food (that’s the Malaysian in me speaking), I dived into a hearty bowl of mee rebus before bidding farewell.